First and most importantly, we want to take this opportunity to thank the entire hockey world for the tremendous support following Nicholle’s cancer diagnosis. 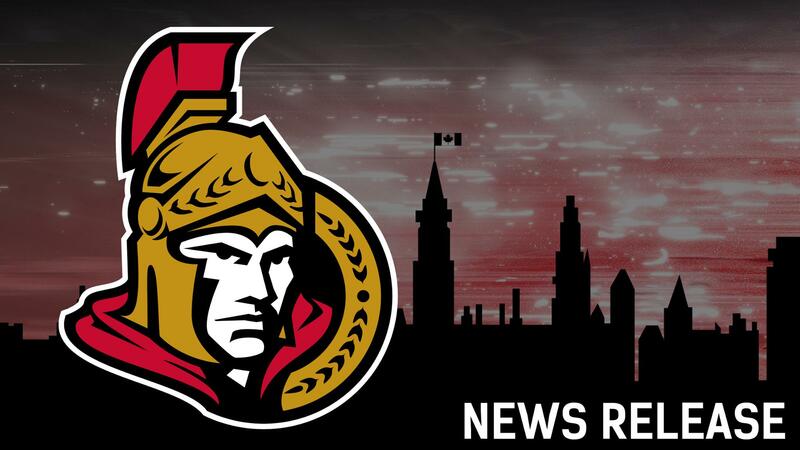 We would also like to express our gratitude to the Ottawa Senators organization, from Eugene Melnyk to Pierre Dorion, coach Boucher and the players, to the other wives, girlfriends and fans who have gone to great lengths to allow us both to battle this together. Nicholle has been diagnosed with nasopharyngeal carcinoma. The treatment for this will require both chemotherapy and radiation, which will take place at Memorial Sloane Kettering Cancer Centre in New York. She has already begun treatments and will continue these under the watchful eyes of the tremendous medical staff there. Additionally, we felt it important to thank both the Philadelphia Flyers organization for helping set up the initial screening with our oncologist in the Lehigh Valley and the Ottawa Senators Foundation for its assistance. We cannot thank you enough for your generosity. Many people have approached us about asking how they can support us during this challenging time. We simply ask for your thoughts and well wishes and that those who choose to, continue to support their local Cancer Society for research on how to cure this disease. Finally, while we understand the public nature of Craig’s position, we kindly ask for your discretion in allowing both of us to take on this challenge privately. Should there be any updates or information in the future we will work with the Ottawa Senators to pass these along.